Looking for Panelboards? Get a quote fast. If circuit breakers protect circuits from overloads and faults, consider panelboards the protectors of the protectors. 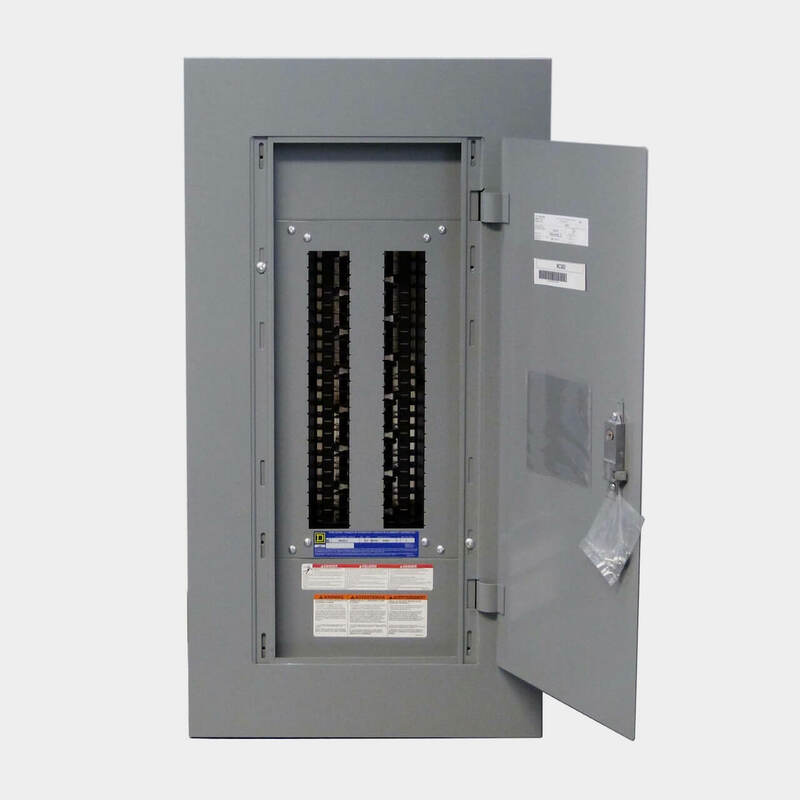 Also referred to as distribution boards, breaker panels, or electrical panels, panelboards control the distribution of power while providing protection for circuit breakers and fuses. Panelboards are essential in all commercial, industrial and residential establishments, and are always contained within an enclosure. A panelboard is used to control lighting, heat, or power circuits. It must be placed in a cabinet or cut-out box. It must be accessible only from the front. Choosing the right electrical panelboard. While there are a few different types of panelboards, they are commonly split into two categories: lighting panelboards and power distribution panelboards. Lighting panelboards are most commonly found in residential applications, with a majority of its overcurrent protection devices protecting lighting and application circuits. Power distribution circuits are used in heavier applications, with a minority (10% to be exact) of its overcurrent protection devices protecting lighting circuits. Make sure you know your electrical panelboard’s specifications and requirements before purchasing your panelboard. Welcome to the only panelboard shop you’ll ever need. Bay Power boasts a vast inventory of lighting panelboards, power distribution panelboards, as well as branch circuit monitoring devices. We carry a wide variety of panelboards in many standard panelboard sizes to meet your exact specifications. Choose from Eaton panelboards, Square D panelboards, Siemens panelboards, GE panelboards, and more. 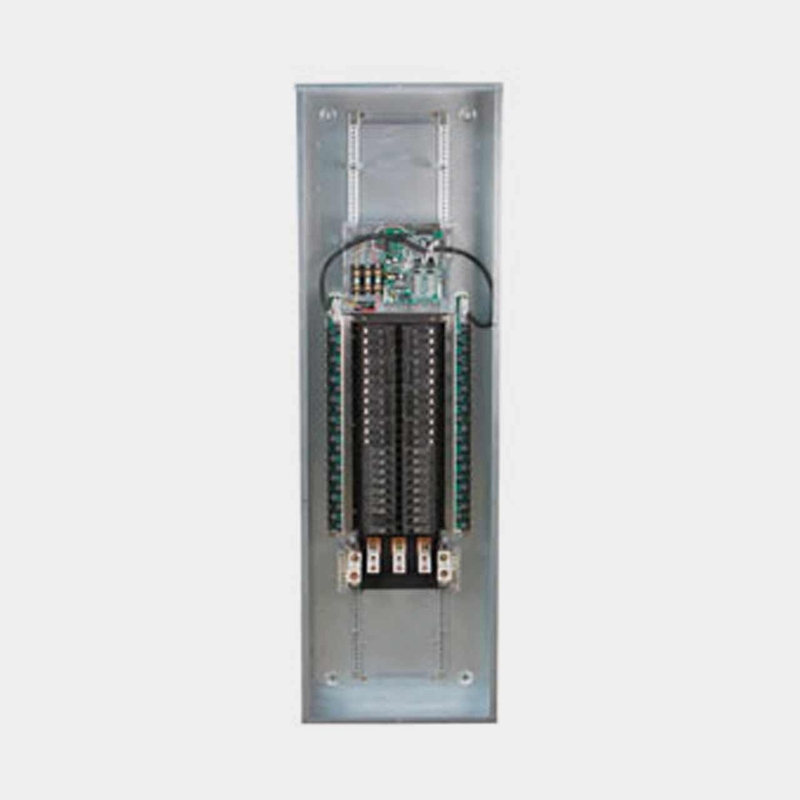 Power distribution panelboards are typically used in commercial and industrial applications, and are defined as a panelboard in which 10% or less of the overcurrent protection devices (like breakers and fuses) protect lighting and appliance branch circuits. These are circuits that have overcurrent protection of 30A in at least one conductor. Lighting panelboards are commonly found in residential dwellings. These panelboards have at least 10% of the overcurrent protection devices protecting lighting and appliance branch circuits. However, lighting panelboards can only handle up to 42 circuits. Since the limit is 42 circuits (or poles), and not 42 devices, auxiliary accessories like switches and shunts are not included. A branch circuit monitor, otherwise known as a BCM, is a device that helps track information like amperes, volts, and watts. A branch circuit monitoring device also alerts you of any overloads, potential overloads, or whether a breaker is approaching its limit. Branch circuit monitors are used across all sectors and applications, so whether you’re looking for something residential or commercial, Bay Power will have your perfect fit. Have any old or unused Panelboards lying around? Don’t get rid of them just yet. While we stock a wide range of quality electrical products and solutions, both new and reconditioned, we also buy back your unwanted equipment. So, before deciding what to do with your old Panelboards and components, have one of our expert technicians take a look to see if we can save a few parts, save the environment, and save you some cash. Great service shouldn’t end after the purchase. We pride ourselves on the relationships we build with our customer-first mentality and the quality of our Panelboards and components. That’s why we offer a 1-year replacement warranty on all of our electrical products and solutions from the top manufacturers. Because when you buy with Bay Power, you buy with confidence. We are proud to stock a variety of competitively priced, new and reconditioned components from the leading manufacturers of Panelboards. Thanks to our extensive inventory of Panelboards and components, our resourceful and expertly trained staff will always be able to get the products that you need. Through our extensive network of suppliers, we are able to carry and acquire a huge variety of electrical products and solutions, so chances are if you need it, we can get it. Bay Power’s priority is providing you with reliable, high quality electrical hardware. That’s why our mission is to make sure our reconditioned electrical products and solutions function as perfectly as the day they were built. Because while the quality is high, the cost of Panelboards shouldn’t be. Our selection of new surplus Panelboards may not arrive brand new in a box, but they function just as well, and have never had electricity run through them. All of the quality, none of the packaging, always with our 1-year replacement warranty.